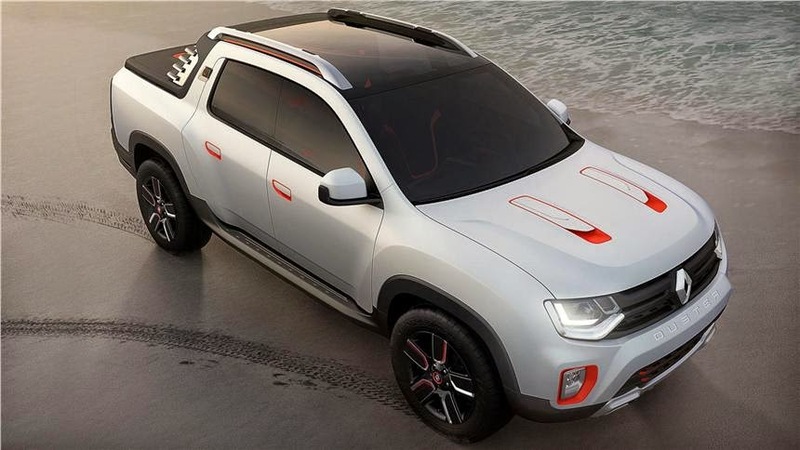 Renault has unveiled the new Dacia Duster Oroch pick up concept at the Sao Paulo Motor Show 2014. Here are some first official photos. 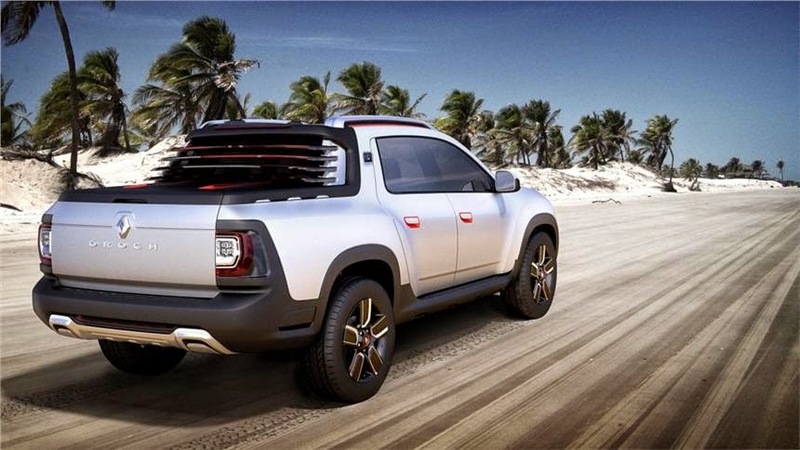 Renault has unveiled the recreational pick-up truck version of the Duster at the 28th Sao Paulo Motor Show in Brazil. Dubbed as the Duster Oroch, it has been designed at the Renault Design Centre for Latin America. 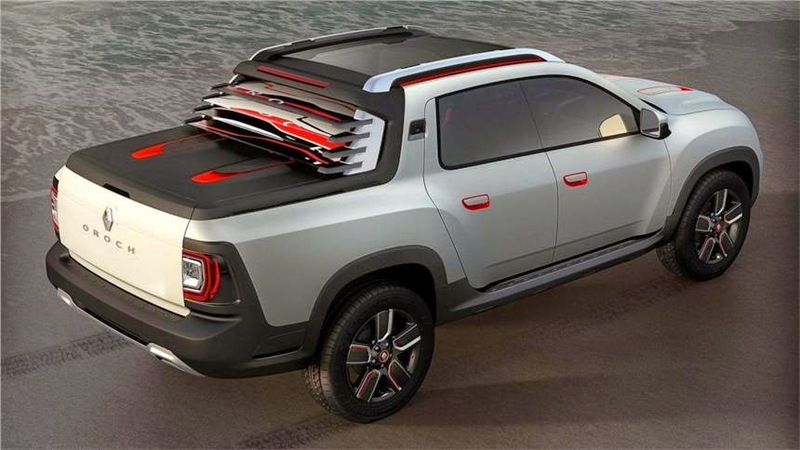 The Oroch concept is a styling exercise for a five-seat recreational pick-up truck featuring the looks of a robust sports utility vehicle. 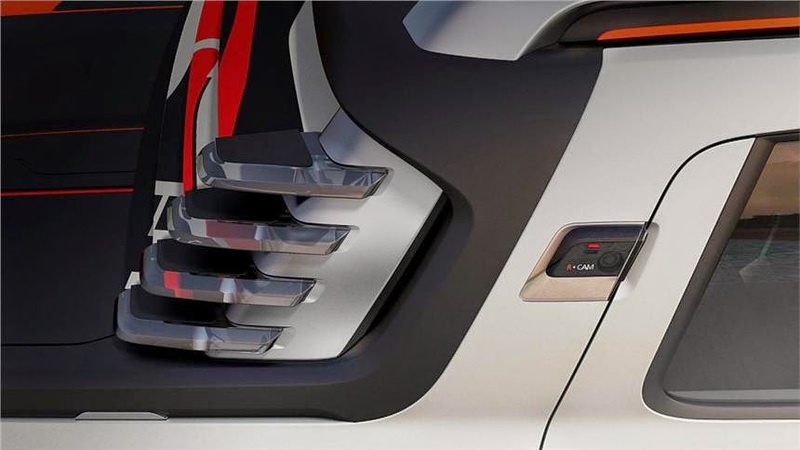 The front end features a new brand identity, and carries over some styling cues explored previously on the D-Cross conecpt, which nothing but a reinterpretation of the Renault Duster was presented at the 2012 motor show in Brazil. The panoramic sun roof is protected by roof rails to add to the recreational nature of the SUV. There are even two rear-mounted cameras with 80 degree and 140 degree to capture interesting sporting moments. In true ‘go anywhere’ style, the Renault Duster Oroch offers a spacious cabin, high ground clearance, 18-inch wheels (255x60 R18) and broad side protective mouldings. The dashboard features a multimedia screen which displays the images captured in real time by the two cameras installed at the back of the dual cab outside the vehicle. A rotary control on the centre console is used to operate the cameras. The pick-up offerings in India have been limited to the likes of Mahindra Scorpio Getaway and the Tata Xenon. 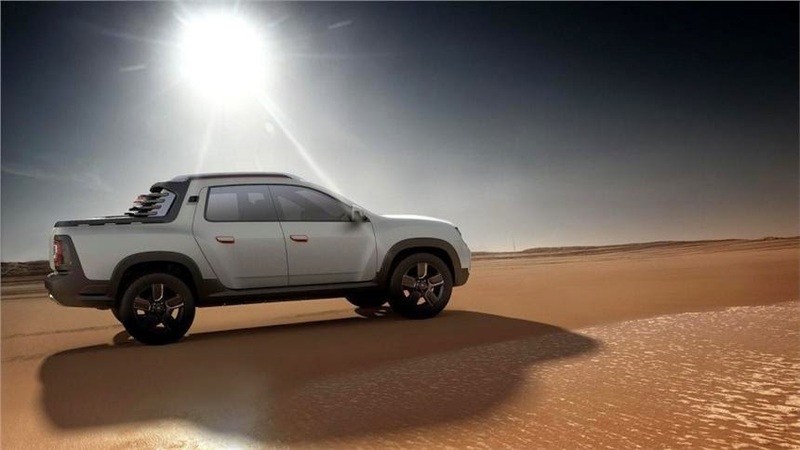 The French manufacturer recently launched the 4WD version of the Duster, and although Denis Barbier, senior vice-president, chairman of the Americas Region for Renault said that the product is in line with the manufacturer's strategy to develop products for the Latin American markets, it would be great to see them add yet another option to the markets here.